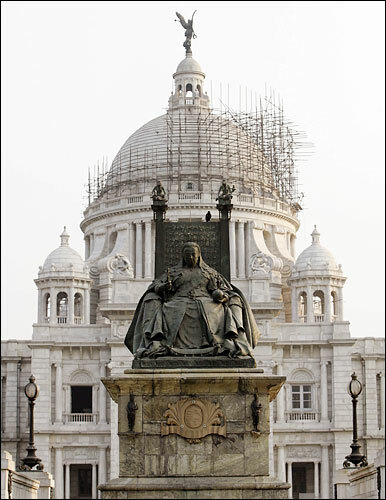 Calcutta: Habitat of the Indian Intellectual Philip Reeves recounts his experiences in Calcutta, a city known for its militancy, poverty and red tape. He enjoys the view from a floating hotel and visits a legendary coffeehouse, where he spots a native species: the Indian intellectual. 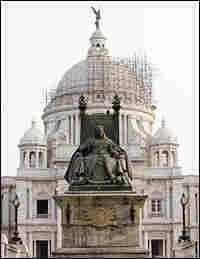 The Victoria Memorial in Calcutta is a reminder of British rule in India. 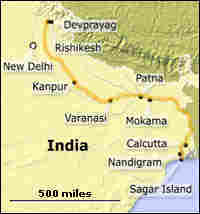 The West Bengal city was once the capital of India during the British Raj. Philip Reeves, reporting on the Ganges. 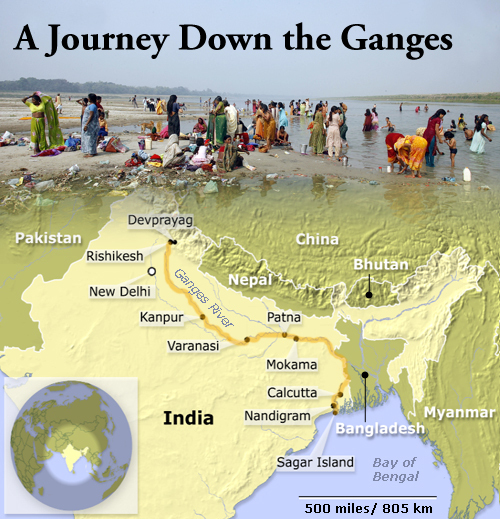 Trace the path of the Ganges River, from where it originates in the Himalayas to where it empties into the Bay of Bengal. 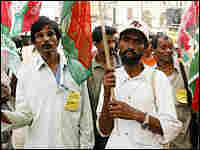 Thousands of Bengalis gathered in Calcutta March 23 to protest against plans to build a special economic zone in the town of Nandigram. 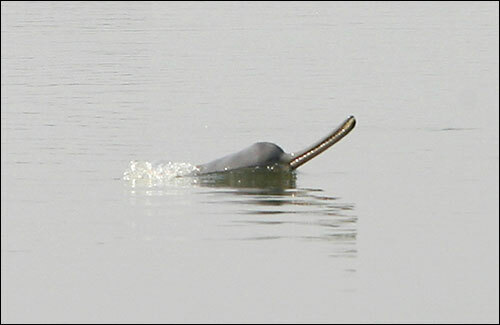 A Gangetic dolphin photographed in the north Indian state of Bihar. 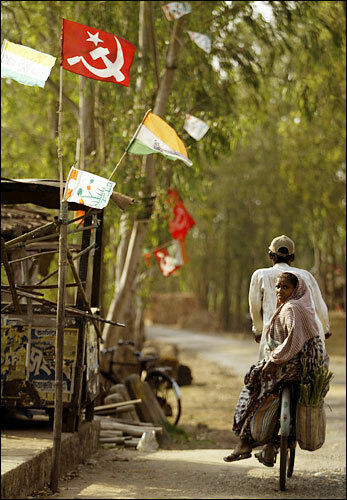 Marxist flags fly in a village on the outskirts of Nandigram. 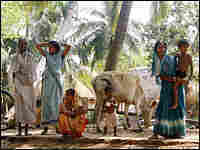 Villagers near the town of Nandigram. I am sitting on deck, in the middle of Calcutta, watching the sun slide down the horizon at the end of a muggy day. The river below is wide and powerful. Close your eyes, and you can almost imagine you are on a ship. But this is, in fact, a floating hotel, or "floatel." With me is the man who designed it, a Bengali entrepreneur called Manab Pal. He says it took him many years to get the 42 government permits required to moor the floatel on the riverbanks, close to the center of town. He is, he explained, known for his "mad ideas" — and also, I suspect, for sheer determination. A few years ago, he towed the floatel here across a cyclone zone from a Singapore shipyard, stopping briefly in Bangladesh to shelter from a storm. Although some rooms are already in use, the floatel is still being outfitted and doesn't open officially until the summer. Calcutta, in West Bengal, is the latest stop on our 1,550-mile journey along the Ganges. The river has now fanned out into a web of distributaries as she passes through a giant delta on her way to the sea. We are on one of the mightiest of those branches: the Hooghly River. 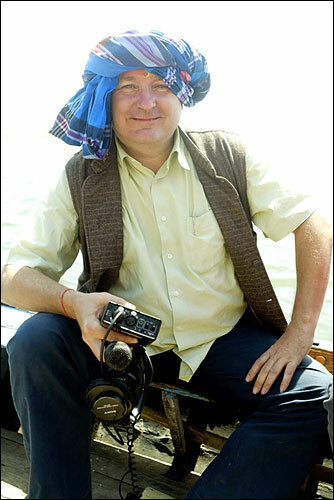 But religious Hindus still consider the waters here to be part of the Ganges, Pal explains. Even in the middle of this vast, grimy port city, thousands bathe ritually in her waters, and hold pujas in her honor. We see evidence of the latter: Coconut shells and garlands of marigolds bob along her dark, swirling waters. The floatel looks like a giant, white shoe box, moored between the city's two great bridges, the Hooghly and the Howrah. A railway line runs along the embankment. From time to time, trains rumble through on a track that cuts between the floatel's main gate and the reception area, which leads down to the gangway and the main entrance. This certainly is a spectacular location. Pal amiably observes that the floatel stands at "the end of north India's sewage system" — a reference to the huge amount of garbage and other pollutants thrown into the Ganges as she makes her way across the plains. But Pal is quick to add that the waters around the floatel are cleaner than other stretches of the river in Calcutta, because — he says — there are no major factories nearby. 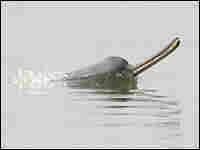 He claims that in the mornings, you can sometimes see Gangetic dolphins cavorting around in nearby waters. These freshwater dolphins definitely exist: My traveling companions saw and photographed some in the Ganges while we were in the north Indian state of Bihar. But in downtown Calcutta? For the next two days, I get up at dawn and stare out my window in search of proof. I see battered river ferries, packed with commuters, chugging from embankment to embankment. I see wooden fishing boats, waiting in a clump with their nets cast in the water. I even see small fish scouting around for scraps close to the water's surface — so there is life in this river. But I see no dolphins. I ask the floatel receptionist if she has ever seen any dolphins. The answer is no. There is another form of life in Calcutta, which I am equally eager to see. 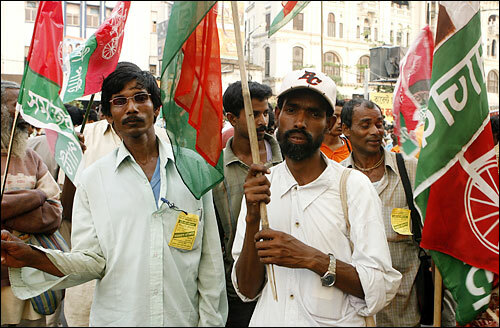 Much of the outside world still has a somewhat outdated image of Calcutta. It remembers the city as the home of Mother Teresa, a place full of slums and poverty, which was — as its architecture testifies — India's capital under British rule before the Brits shifted the capital to New Delhi. Though it is modernizing, Calcutta is also seen as a stronghold of the left — communists have ruled West Bengal for three decades — and trade-union militancy. 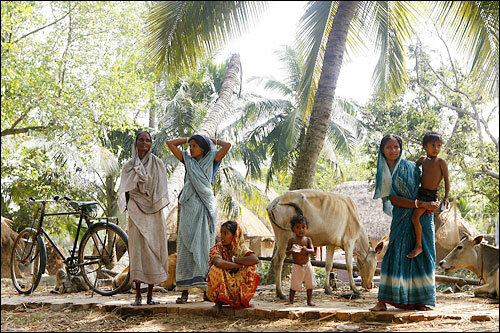 But Bengalis see the place slightly differently: They also consider Calcutta — or Kolkata, as they now call it — to be India's cultural capital and the habitat of an important species: intellectuals. They refer in conversation to "intellectuals" as if they are a separate class, a professional category like generals or astronauts. I asked an Indian colleague if there is any way of identifying an intellectual, without first having a conversation with him or her. You can pick them out at a glance, simply by their looks, she replied. She said they invariably have large, thick-rimmed spectacles, a white kurta (long, collarless shirt), a battered bag and a shock of hair, usually gray. Manab Pal confirms that the best place to find them is the Calcutta Coffee House. The place is legendary, he says. "In student times, if you didn't sit in the Coffee House, you were nobody, because you didn't have a view," he says. Calcutta is a city that relishes argument like no other, and not having a point of view is simply not acceptable. We go to the Calcutta Coffee House. It is a big place, full of people sipping coffee in the gloom, beneath slowly flapping fans. It has brown-stained walls. Elderly turbaned waiters in faded white uniforms drift from table to table. Most striking of all is the noise of nonstop conversation. Everyone seems to be wearing big specs, and carrying crumbled bags... and talking. This is a perfect place to find someone to discuss the theme of Part 4 of our series: the battle in India over what are called special economic zones. Put simply, this conflict is between government, which wants to hand over large tracts of rural land to industry with generous tax breaks, and the rural people, who don't wish to give up their farmland because they depend on it to survive. This is a critical issue for India, as you'll hear.